Its all about location! 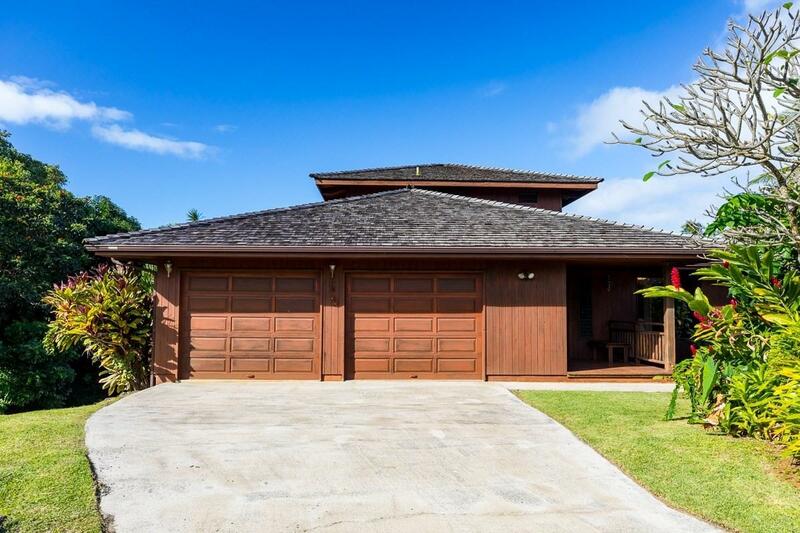 This 2-story custom Lindal Cedar Home at the end of Akai Place enjoys a wonderful cul-de-sac location with lush valley and beautiful ocean views. 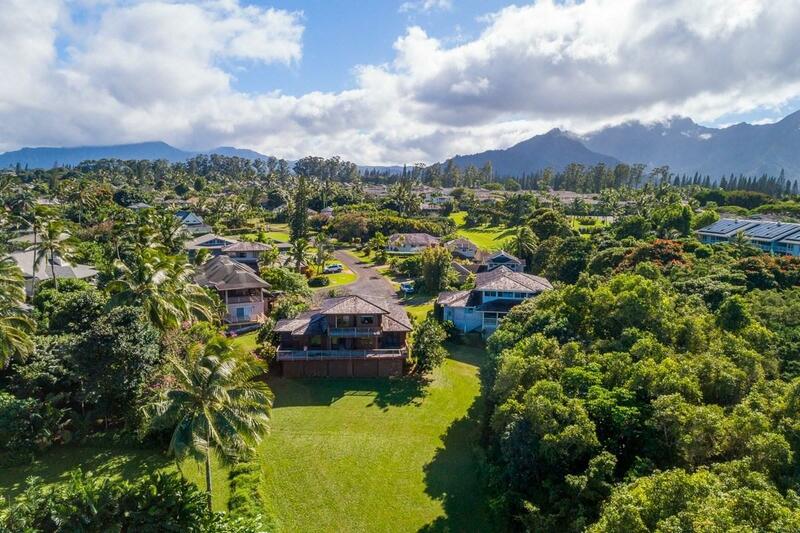 The surrounding undeveloped land owned by Princeville at Hanalei Community Association gives the property an expansive feel as the view flows down the valley to an ocean view. 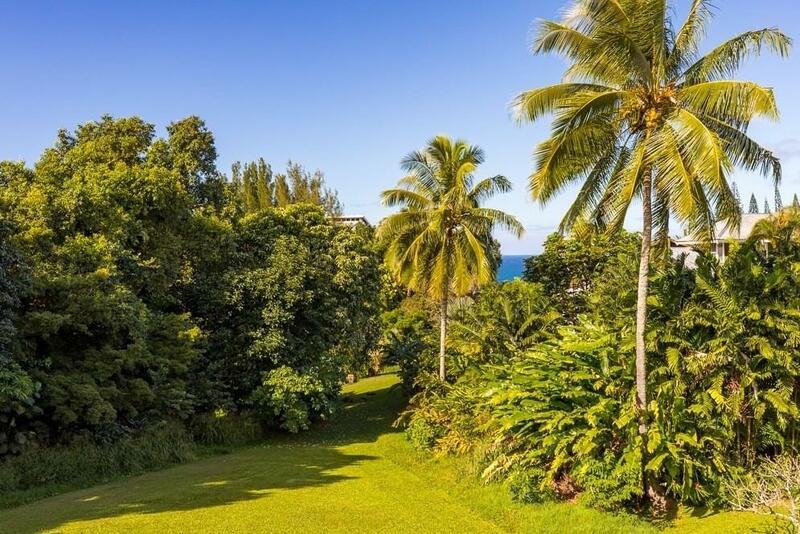 This very special home has unique nautical interior features and enjoys open beam, natural wood ceilings throughout. 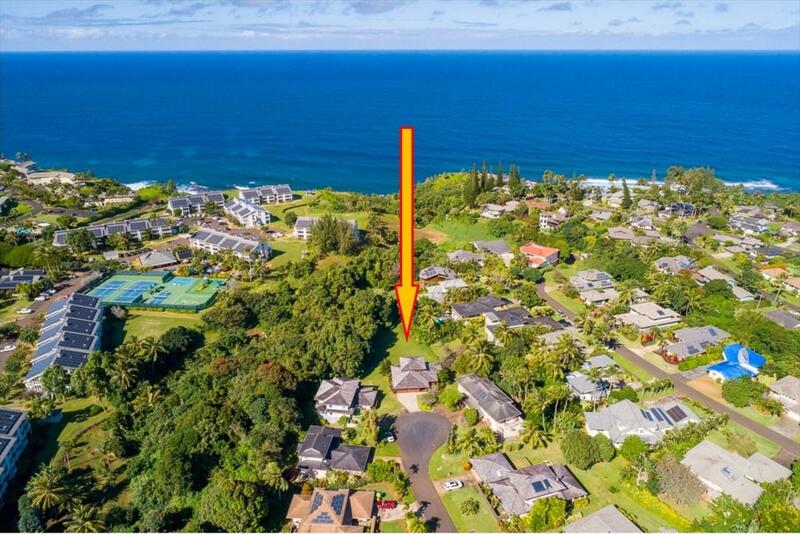 There are custom wood cabinets in the kitchen and baths, spacious outdoor decks on upper and lower levels with lovely views across the valley to the ocean, and an enclosed lanai as a bonus space. This three bedroom home with three baths (one guest bath was added without permits), is an islanders delight. The roomy 2 car garage has extra storage space for plenty of gardening tools and outdoor toys. The owner designed & occupied the home since its completion in 1995. This property is sold in "as is condition and ready to move into and enjoy, or remodel with your own signature design.